With the Ford government’s first budget rapidly approaching, the new government faces many economic challenges. Job one, however, should be eliminating the province’s $13.5 billion budget deficit and staunching the flow of red ink Ontario has been bleeding for a decade. There’s been much discussion of how long the government should take to balance the budget—should it take a “slow and steady” approach or move quickly to eliminate the deficit and slow the pace of debt accumulation right away. Some have warned that moving too quickly would constitute a “slash and burn” approach that would come with terrible human costs. But based on the numbers, clearly the Ford government can almost entirely eliminate the deficit in short order, if it’s merely willing to hold government spending at the level it inherited from the Wynne government. Consider this. In 2018/19, Ontario expects to spend approximately $12.6 billion more than it takes in (removing a billion cushion for prudence that results in the government’s official budget projection). That’s a seemingly daunting deficit. But here’s the thing—the provincial economy is growing, and barring a recession, revenue will keep growing over the next two years. In fact, revenue is forecasted to grow by $11.1 billion over the next two years. In other words, simply by holding spending flat—spending levels the government frequently decried as profligate when in Opposition—88 per cent of the deficit will disappear due to revenue growth over the next two years. Of course, even when starting with elevated spending levels, holding nominal spending flat isn’t easy. Every government must contend with cost pressures from population growth, population aging and inflation. However, on the campaign trail the Ford government routinely promised that finding efficiencies in the order of four per cent of government spending would be as easy as pie—and this would be enough to offset those cost pressures and hold the line on nominal spending. In short, balancing the budget in two years is an unambitious goal given the gravity of the fiscal challenges that Ontario faces. Moreover, the Ford government should also use its first budget to implement comprehensive tax reform to help the economy grow. This would require further discipline on spending beyond what’s been described here so far, but would bring important long-term benefits to the provincial economy. But whether the government pursues tax reform or not, there’s simply no excuse for a long meandering path back to budget balance (it’s again worth remembering the failed budget balance plans promised—but never delivered—by the Ford government’s predecessors). Ontarians have waited for a decade for a balanced budget. It would be a clear policy failure for the new government to make them wait much longer. Simply holding the line on spending—spending that was elevated by the Wynne government’s pre-election spending binge—would be enough to kill 88 per cent of the deficit in just two years. Modest reductions could take care of the rest. 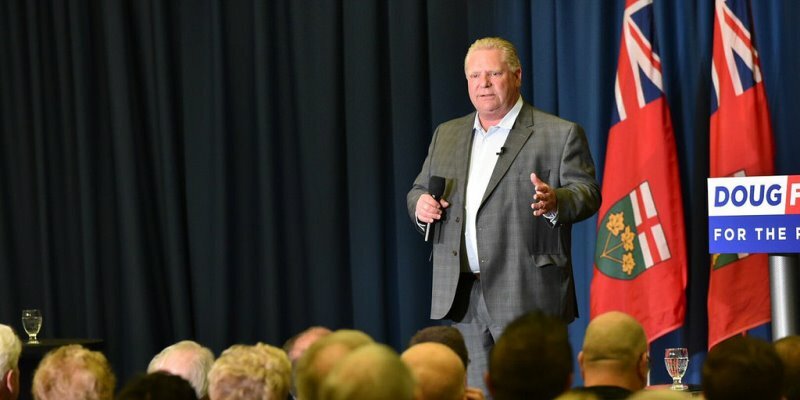 The Ford government has repeatedly promised to restore Ontario’s finances to health, on the campaign trail and in office. When the budget arrives next month, we’ll find out whether they intend to deliver on those promises or follow an all-too-familiar pattern in Ontario of kicking the deficit can years further down the road.